In 1857 Thomas Clunes established the Vulcan Iron Works, Cromwell Street, Worcester as iron and brass founders. Originally they are described by the 'Kelly's Directory' as being 'Engineers, Millwrights, Iron & Brass Founders, Plumbers etc'. 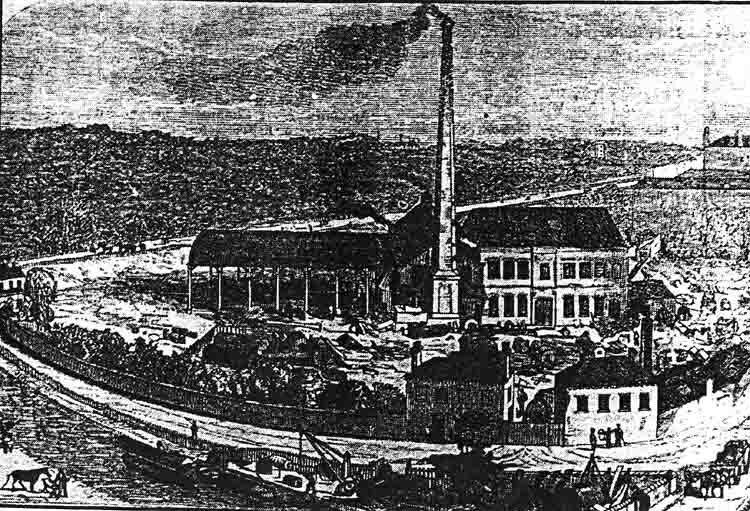 The engraving (from the archives of the MI.C) shows the original extent of the Vulcan Iron Works that was situated on the west side of the Birmingham Worcester Canal on the south side of Cromwell Street. 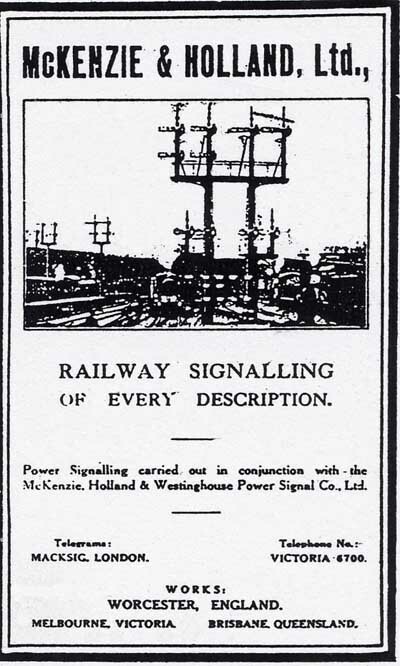 An advert for Railway signals by Mckenzie & Holland (collection of Andrew Smith). Clunes was joined in 1861 by McKenzie and Holland who were former employees of the Oxford, Worcester & Wolverhampton Railway. They soon established a worldwide reputation for the quality of their manufacture of railway signalling equipment. In the 1870's the company name changed to 'McKenzie & Holland'. 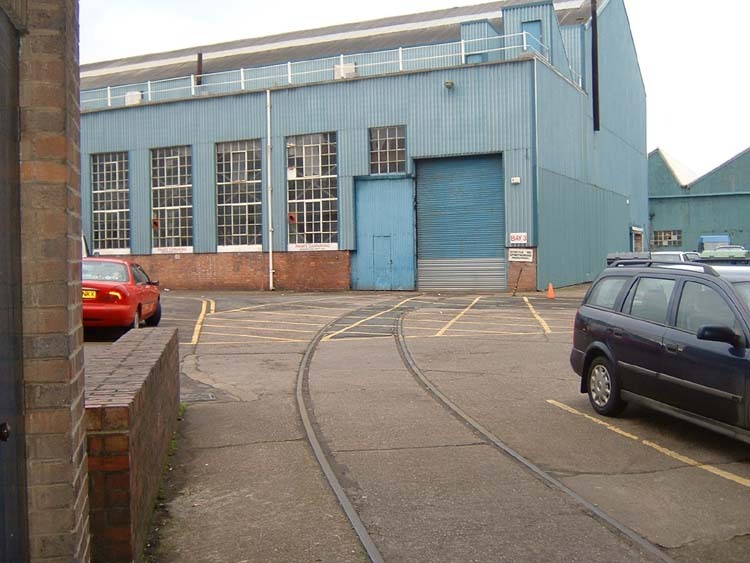 Part of the Vulcan Iron Works was connected by a tunnel under Shrub Hill Road and the main works of the former Worcester Engine Works Co Ltd to the Vinegar Works branch. Mckenzie & Holland purchased their own locomotive to shunt these sidings. See also the Butts Branch for photographs of an original bridge built by McKenzie, Clunes & Holland. A portrait of Walter Holland (by Haynes Williams) can be found in the Lower Hall on the ground floor of the Guildhall at Worcester. Mckenzie & Holland equipment was used in many British and overseas signalboxes including one at Hartlebury and were exhibitors at the Worcestershire Exhibition in 1882. The premises built by the Worcester Engine Works Co Ltd went through a number of different occupiers before being purchased by Heenan & Froude Ltd in 1903. Mckenzie & Holland merged with other signal manufacturers in 1901 and became a limited company at the same time, wholly owned by the Consolidated Signal Company Limited. The Worcester operation was closed in 1921. The Mckenzie & Holland locomotive was then purchased by Heenan & Froude Ltd who took over responsibility for rail traffic. The Vulcan Iron Works was occupied by Avery Stephens & Co, ironfounders from 1921 until 1936 when it was sold to Heenan Froude. The site has now been re-developed and no evidence can be found of the Vulcan Iron Works. This photograph was taken at location 'P' on the map on the west side of Shrub Hill Road looking from the entrance to the tunnel. This shows a surviving section of standard gauge track leading down towards the Worcester Birmingham Canal. 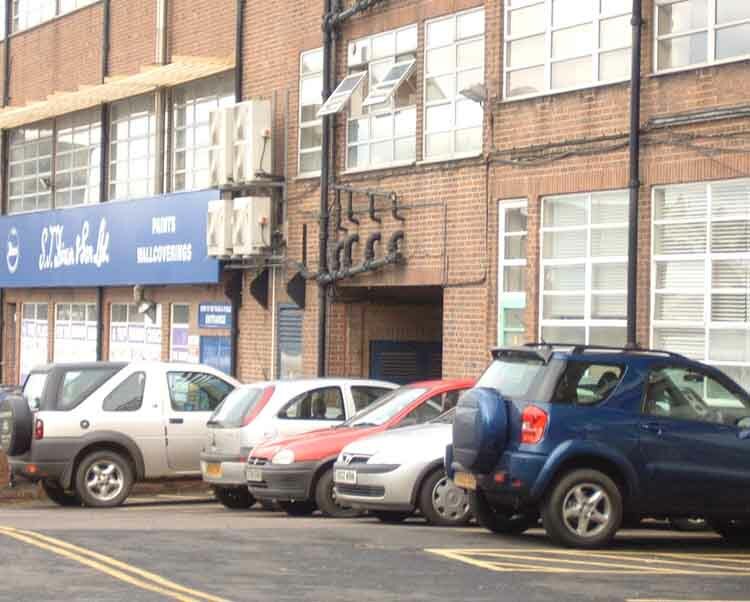 The large blue building is occupied by Underwood Co Ltd who formerly used the Coal Sidings, Worcester and had a locomotive at their Droitwich site. This is the entrance to the tunnel under Shrub Hill Road (location 'N' on the map). The office building was built in the 20th century, perhaps in the 1950's, but certainly before the use of the internal railway closed in 1958. It was not possible to walk through the tunnel when the photograph was taken on 24th December 2003 as a large iron door blocked progress about 40 yards beyond the tunnel mouth. 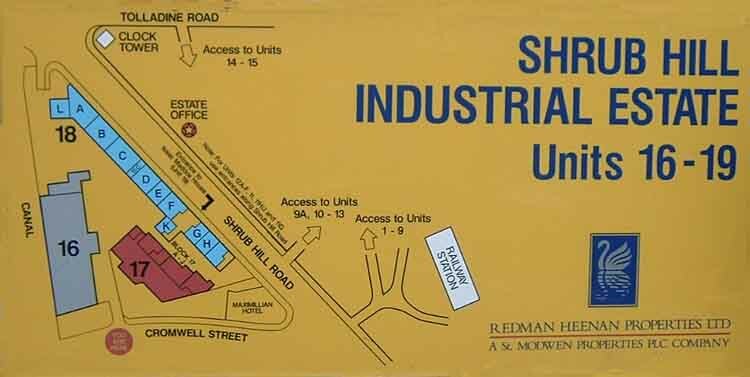 Mckenzie & Holland occupied the whole of the area that encloses units 16 to 18 on the map. The Tunnel runs between units Nos.18C and 18D. Underwood & Co Ltd occupy Unit No.16 whilst Unit No.17 appears to date from Victorian times.